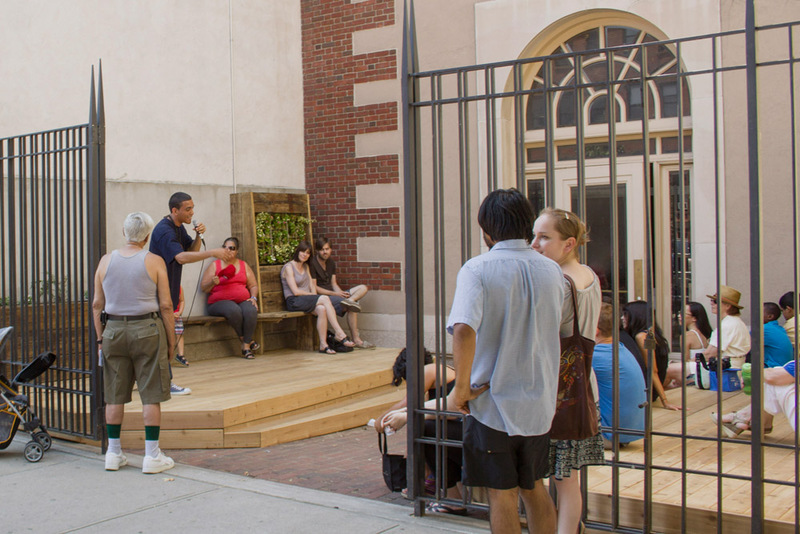 A community-based project, Piazza Gratissima was built in the courtyard of New York City Public Library, Mott Haven Branch. 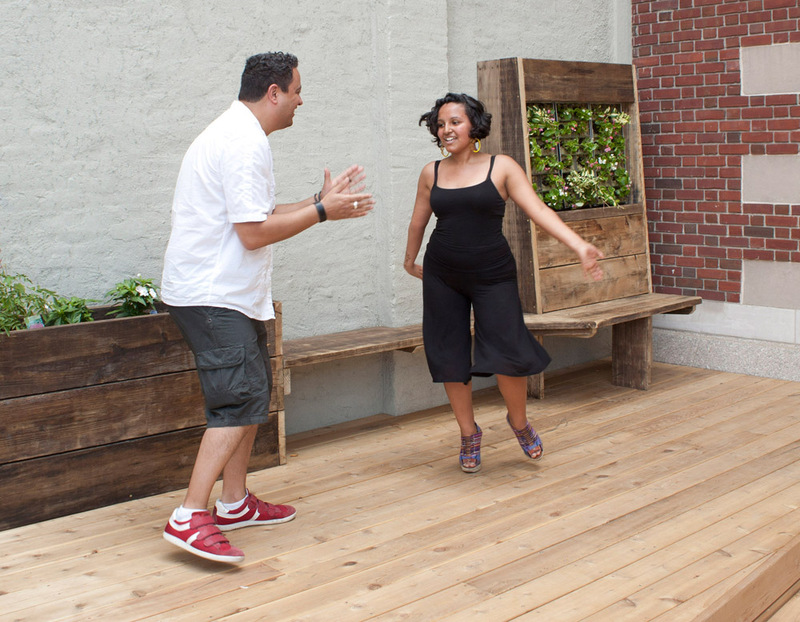 Dependent on the support of art viewers, Bronx residents, community organizers and officials, Piazza Gratissima takes the form of an angular cedar deck with gardening components and seating built from reclaimed scaffolding lumber. The work serves as a multi-use space for library goers and acts as an avenue for civic discourse. The project was made possible by generous Kickstarter donors, the Bronx River Arts Center, the New York Public Library, Build it Green! NYC, Friends of Brook Park, Steven Ritz / the Green Bronx Machine, and local Bronx Residents. Piazza Gratissima was built with the help of local residents Emmanuel Castillo, Sergio Cepeda and Tyrell Stone. This project was successfully funded on Nov 18, 2011 using Kickstarter, an online fundraising tool. Having raised funds, BroLab held a series of community meetings to direct how the space could best serve the community. A final design was then agreed upon and local community members were hired to work alongside BroLab members to construct the space. Piazza Gratissima opened to the public on June 30th, 2012.